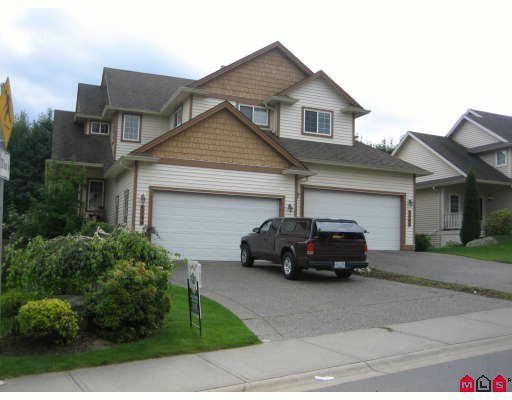 Beautiful 1/2 duplex with large private yard backing onto green space. 3 generous sized bedrooms up, fully finished basement, hardwood throughout the main floor with a great room style, large island with eating bar in the maple cabinetry kitchen. Laundry on the main floor. Room for a bath down. Larger than the Salmon Berry single family homes, with a 127 ft. deep yard. A dog run for the family pet. Close to the Promontory school, play ground and walking trails to the Vedder River. Having the hardwood flooring refinished is negotiable depending on the office.